Is Space Mountain a ride that is located in Universal Studios? No, a Space Mountain Universal Studios roller coaster does not exist at both Universal Studios theme parks in California and Florida. A Space Mountain roller coaster does exist, however, it is located at a different park that is located near Universal Studios. Space Mountain is a Disney theme park roller coaster. In the Orlando, Florida area, Space Mountain is located in Walt Disney World Resort at the Magic Kingdom theme park. The ride is specifically located in the Tomorrowland section of the Magic Kingdom. More information on the location of the ride can be found on our Space Mountain map page. 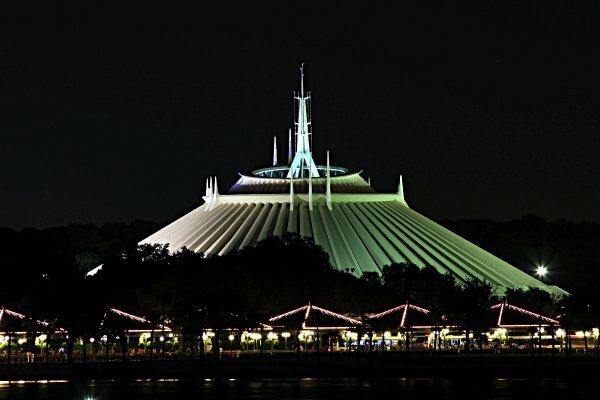 This article primarily focuses on the Orlando, Florida Space Mountain, however, The Walt Disney Company has a version of Space Mountain at many of its global theme parks. Below is a list of the other Disney theme parks that have a Space Mountain ride. All Universal parks are owned by NBCUniversal, which is owned by Comcast Corporation. 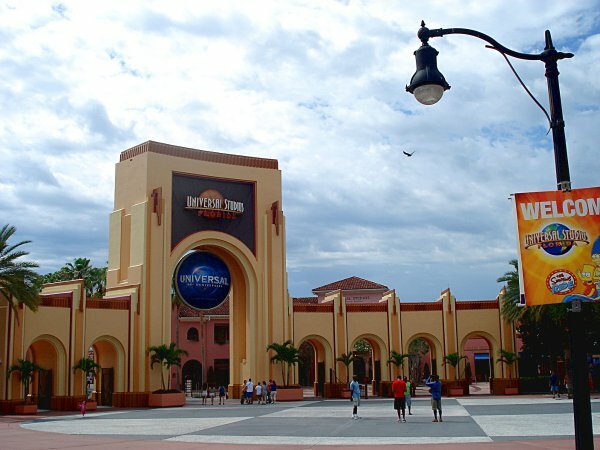 Universal has two locations for its theme parks, Orlando, Florida and Universal City, California. The Orlando location is officially called Universal Orlando Resort. Universal Orlando Resort has two theme parks, Universal Studios Florida and Universal’s Islands of Adventure. In May 2017, Universal Orlando opened to the public a new water park called Universal’s Volcano Bay. NBCUniversal also operates Universal Studios Hollywood in California. All three theme parks do not have a space themed roller coster, like The Walt Disney Company’s Space Mountain attraction. More detailed information on the Universal Theme parks is planned to posted in the future. To learn more about the Space Mountain indoor roller coaster visit the other pages here on the site. Above photo of the enterance to Universal Studios by Joao Carlos Medau on Flickr and Wikimedia Commons. Photo modified by NavFile. Photo released under a Creative Commons License. Above photo of Space Mountain at Walt Disney World by Don Henry on Flickr. Photo modified by NavFile. Photo is released under a Creative Commons License.